One of the most notable improvements you can make to your Sport Truck or SUV is the addition of Belltech Anti-Swaybars. The reduction of the boat-like body roll not only creates a more confident driving feel, but by keeping the body flat in turns and during emergency maneuvers increases the safety factor as well. 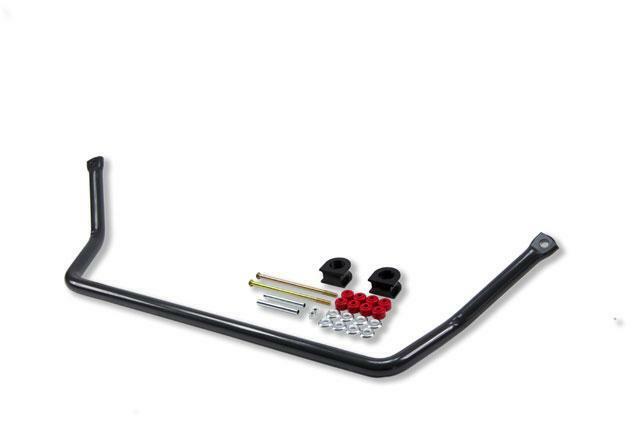 Incorporating 20 plus years of design experience, Belltech Anti-Swaybars are designed to improve handling and steering response by minimizing body roll while not affecting ride quality. Belltech Anti-Swaybars are manufactured from cold formed solid steel and use swedged ends for their superior strength and reliability. All Belltech Anti-Swaybars include high grade mounting hardware, polyurethane bushings and are powder coated brilliant silver for a lasting finish.